When I was a teen, I had ten years of my life planned out ahead of me. I'd finish high school, go to college, get married, find a great job, and then have kids. Oddly enough, I followed that plan with the exception of going back to get a master's degree since I graduated college during one of those nasty recessions. all three kids are in college. Save for their tuition. Our house is big enough that the kids can come home with their families at the holidays. I looked forward to those times when I could be a grandma. We built a pool. We planted climbable trees. The house got paid off. Our oldest went to college (on a basketball scholarship!). And then all the things I'd planned for changed. Our oldest married his high school sweetheart and then moved to Texas to go to school (no scholarship AND out of state tuition - eeep). Our second son decided to "find himself" by moving to Oregon (we live in sunny California). Our youngest soon followed, but she enrolled in college there (again with the out of state, savings-eating tuition - eeep, eeep). Not long after, our son and his wife moved to Oregon and our second son decided he wanted to go to college after all! Three kids in college at the same time. And they all seem to want to live permanently in the rainy, green state. Meanwhile, back in our empty-nest homestead in California...If you haven't heard, California is in a huge drought (our snow pack is 5% of normal). Those trees we planted? All dead. Every one. The plaster in the pool is cracking as the dry ground shifts. And Mr. Curtis is counting the number of years to early retirement. Early retirement? Who can afford to retire early when you're going to live to see 80 or 90? It should come as no surprise that he wants to leave California for Oregon when he's a retiree. I'm almost afraid to plan ahead. Last weekend, I had a Twilight Zone moment. I stood in the tree section at Home Depot afraid to pick out some trees. What if they died? What if whoever was interested in buying our dream house 10 years from now didn't like that kind of tree? What if? What if? What if? Did your life turn out as planned? Is it still going as planned? Or are you going with the flow and happy to do so? Melinda Curtis is a USA Today bestseller. 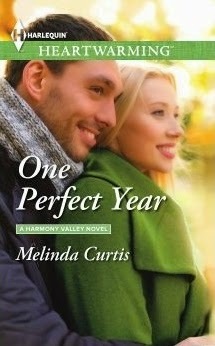 Her latest release, One Perfect Year, is about the fickle nature of fate and how you can't always plan out your life, something she's had a lot of experience with lately. Melinda, my life has absolutely not gone as planned. I'm learning to go with the flow. It's not easy, but worthwhile. Plus--sometimes the detours turn out better than expected. My plans were constantly changing when I was younger. I didn't know what I wanted to do when I left college then settled on something I didn't like much and ended up changing career twice. A similar thing happened to my husband. I didn't want kids, then I changed my mind but life was not kind and we lost two babies. We also started our own business doing something I had never dreamed of in a hundred years we would do. After that everything settled down, business went well, we had a lovely house, we managed to have two healthy kids. But life still throws us all sorts of curve balls. I guess the only thing one can depend on is that things will change and not how you expect. What great insight, Helen. Thanks for sharing your journey. I have the life I always wanted. But Mel, kids NEVER follow OUR plans. But then I didn't follow my mom's plan for me. She wanted me to marry early and have at least 6 kids--NOT MY PLAN! Lyn is right. Kids never follow our plans for them, do they? All four of mine moved away from Arizona, and now that they've got kids of their own, it's even harder to be away from them. However, we raised them to be independent, so it's our own fault. ;-). My life hasn't turned out at all the way I thought it would, but it's good and I'm grateful for every day. Those darn kids! Gotta love them for being independent and successful. I'm going with the flow. I have no choice but to do that. Things are constantly changing. I don't plan ahead much. Good for you, Margaret. I wish I could be more like that. My life has taken more twists and turns than I could ever have planned, and I've enjoyed every one of them. When it became obvious that our kids had...er...strong personalities and life plans all their own, we pretty much decided to like what we had instead of what we'd intended, and it's all worked out pretty well. I'm like Merrillee--I like the twists and turns! I feel your pain, Melinda! We lived through a year where we had four kids in college at once -- and all out of state. Life has thrown me curve balls, but I adore the family and life I've got. So I'm happy to have weathered those changes. One thing I started doing early on was wearing a pedometer every day. Now, I use a Fitbi, but it's encouraging to note my progress and feel -- no matter the let-downs or disappointments -- I'm still moving forward. Onward! And Happy Easter to you and yours. Oh, gosh, Melinda! I like to have things planned out in detail, but as others have said, life likes to throw us curve balls. I am leaning (ever so slowly) to go with the flow. I feel your pain and wish I could send you some much needed moisture from the "rainy green "state.